What is Track My Subs and why am I telling you about this? 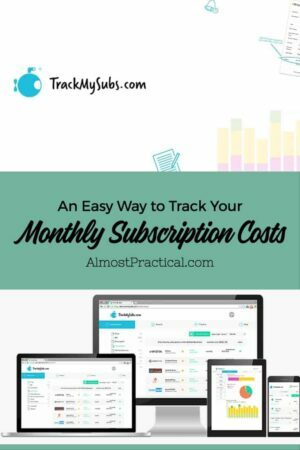 Track My Subs is an awesome new service that will help you manage those recurring fees that you fork out every single month. Do you pay monthly or yearly fees for different internet services? The monthly payment model has taken off in recent years. Because it is easier to convince someone to pay only x dollars per month instead of asking them to fork over a huge wad of cash all at once. But those low monthly charges can quickly add up. Before you know it, you are paying a good chunk of change for services that you might not even use. That is why it is important to keep track of what you spend on a recurring basis. Not just for your business, but also for your home. You could put together a spreadsheet with all the relevant info, or download this handy printable to keep track of it all. Or you could take a look at this really cool new service called Track My Subs. When I first heard about Track My Subs, my reaction was – why do I need that? I can do the same thing with a spreadsheet. But the more I learned about it, the more excited I got. This service goes beyond a basic spreadsheet. All you need to do is input the service, the recurring amount, and the date of the renewal (be it monthly or yearly). Track My Subs will then figure out how much each service is costing you per year and per month and also the total cost of all your services. It will also place everything in a calendar view so you can easily see what is coming up next. You can set reminders before each renewal date hits – which allows you time to cancel if you would like. And you can separate your recurring charges into different folders – so you can track your business recurring charges separate from personal expenses. Ironically, a subscription to the Entrepreneur Unlimited Plan on Track My Subs runs $8 per month or $96 per year at the time of this writing. 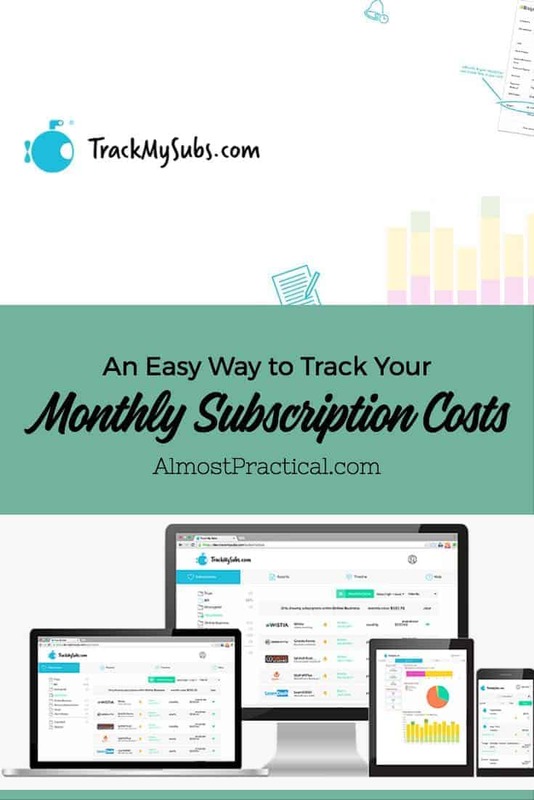 I was fortunate enough to be able to grab my subscription to Track My Subs on AppSumo – but that deal has since expired. For those of you who are unfamiliar – AppSumo is something you should learn about. Basically it is middleman type of service. 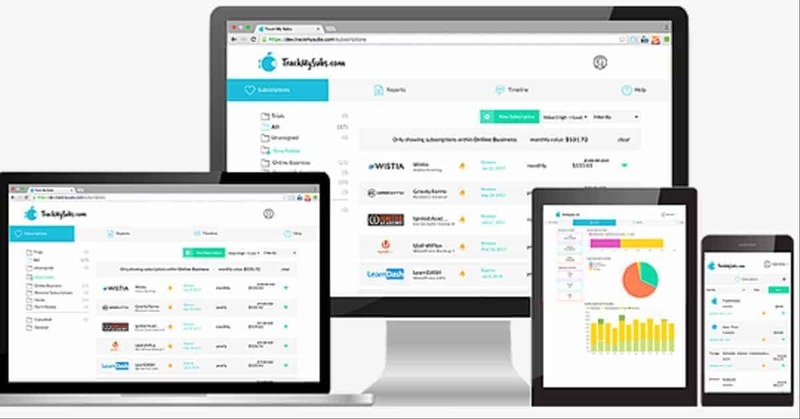 It matches newer internet companies with an audience of people that could benefit from the service. AppSumo negotiates a killer price (often a lifetime deal) in exchange for giving the startup company some great exposure. I am a big time customer of AppSumo. The thing is that AppSumo introduces us to many services – some are great for small businesses and teams, and others are perfect for solo bloggers like me and you. I am always staying up to date with the latest AppSumo deals, so I can grab the best ones. If you would like me to let you know when something shows up on AppSumo that would be perfect for bloggers – then fill out the form below and I will shoot you an email with the details.